Hidden among the romantic street lights of Elm St., just off the rush of Yonge and Dundas is a quaint Italian restaurant, Donatello. A family run establishment with an intense focus on providing a high quality fine dining experience. 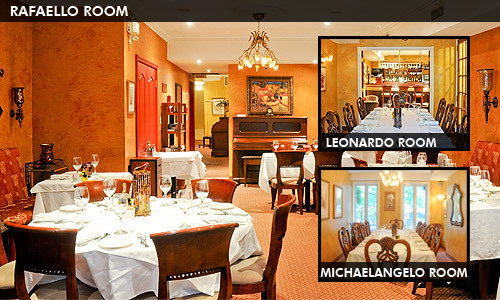 With three seperate dining rooms Donatello is ideal for dates, family dinners before theatre and private business functions.